The aboveground primary production is a major source of carbon (C) and nitrogen (N) pool and plays an important role in regulating the response of ecosystem and nutrient cycling to natural and anthropogenic disturbances. 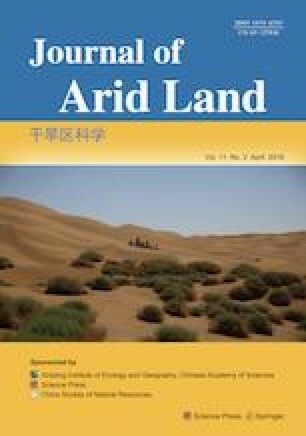 To explore the mechanisms underlying the effect of spring fire and topography on the aboveground biomass (AGB) and the soil C and N pool, we conducted a field experiment between April 2014 and August 2016 in a semi-arid grassland of northern China to examine the effects of slope and spring fire, and their potential interactions on the AGB and organic C and total N contents in different plant functional groups (C3 grasses, C4 grasses, forbs, Artemisia frigida plants, total grasses and total plants). The dynamics of AGB and the contents of organic C and N in the plants were examined in the burned and unburned plots on different slope positions (upper and lower). There were differences in the total AGB of all plants between the two slope positions. The AGB of grasses was higher on the lower slope than on the upper slope in July. On the lower slope, spring fire marginally or significantly increased the AGB of C3 grasses, forbs, total grasses and total plants in June and August, but decreased the AGB of C4 grasses and A. frigida plants from June to August. On the upper slope, however, spring fire significantly increased the AGB of forbs in June, the AGB of C3 grasses and total grasses in July, and the AGB of forbs and C4 grasses in August. Spring fire exhibited no significant effect on the total AGB of all plants on the lower and upper slopes in 2014 and 2015. In 2016, the total AGB in the burned plots showed a decreasing trend after fire burning compared with the unburned plots. The different plant functional groups had different responses to slope positions in terms of organic C and N contents in the plants. The lower and upper slopes differed with respect to the organic C and N contents of C3 grasses, C4 grasses, total grasses, forbs, A. frigida plants and total plants in different growing months. Slope position and spring fire significantly interacted to affect the AGB and organic C and N contents of C4 grasses and A. frigida plants. We observed the AGB and organic C and N contents in the plants in a temporal synchronized pattern. Spring fire affected the functional AGB on different slope positions, likely by altering the organic C and N contents and, therefore, it is an important process for C and N cycling in the semi-arid natural grasslands. The findings of this study would facilitate the simulation of ecosystem C and N cycling in the semi-arid grasslands in northern China. This study was partially supported by the National Key Basic Research and Development Program of China (2016YFC0500703) and the National Natural Science Foundation of China (31572452, 41573063, 31870438).